Spring Has Arrived in Madison! 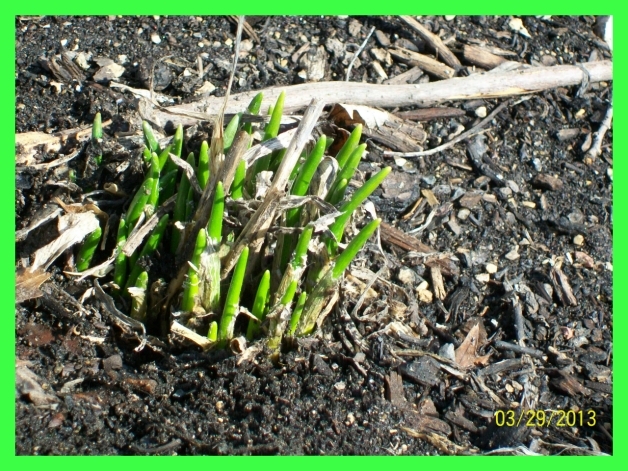 I came out and saw this, our garden is waking up from it’s long winter sleep. This is the first to emerge. The rhubarb is not yet visible. 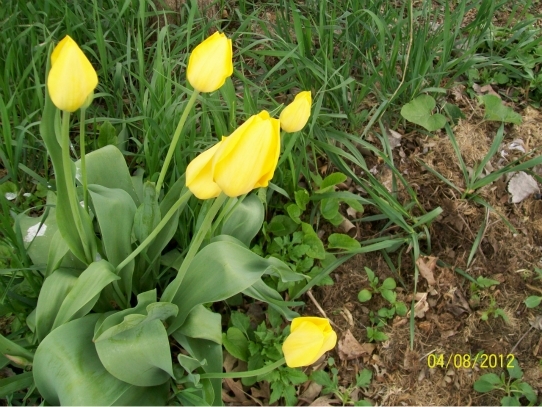 The north side of the yard is still covered with snow, but after it melts, I await our yellow tulips. Yay Spring! Hopefully the snow will melt in our yard soon. It is getting there.